Small, accommodating, and melodious. Common in the East through Texas in the summer; winters in Central America. Prefers woodland and scattered trees, especially near water. 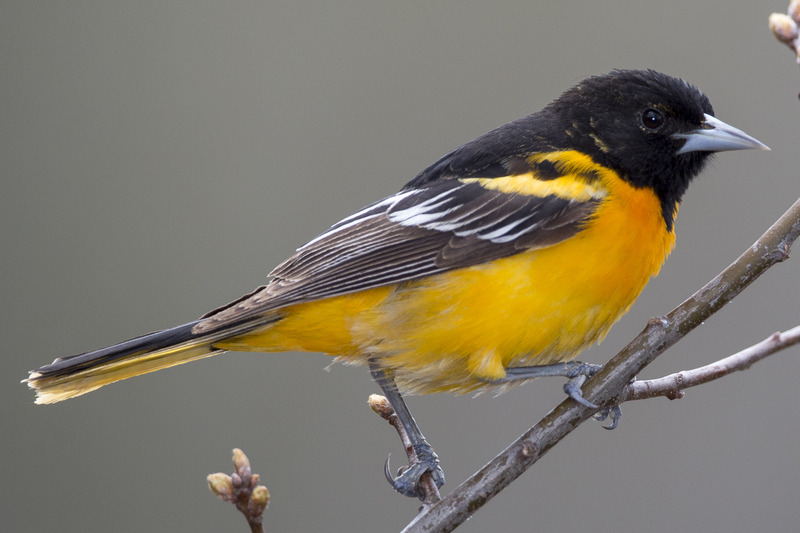 Our smallest oriole; slender, sharp bill; males have dark heads and brick red bodies; females and young males yellow. Diet mostly insects, but also fruit and nectar. Female builds pouch-like nest in trees; may nest colonially; tolerant of other species’ nests. Lifespan up to 11 years. Population ~ 10 million and declining.